Available here, as of February 2016. 2019-jan-1: This year I'm working in a VMware engineering group to tech transfer some cool research ideas. We're hiring. Let me know if you're interested in a job that straddles engineering and research. 2017-apr-11: We got best paper award in ASPLOS 2017 for the work on black-box concurrent data structures. 2017-jan-10: Black-box concurrent data structures for NUMA paper accepted to ASPLOS 2017. 2017-dec-01: I am co-chairing the HotStorage 2017 workshop. 2016-may-01: The invited paper "The many faces of consistency" is now available. 2016-mar-17: Yesquel 0.3 is now available. Remote memory. Designed, implemented, and evaluated remote memory. Proposed a list of open problems (SoCC 2017), a file-based abstraction (ATC 2018), and a new distributed computing model (PODC 2018). Yesquel. Designed, implemented, and evaluated a scalable and distributed SQL database system for Web applications, which features a new architecture and distributed balanced trees (SOSP 2015). Available on github. Geo-distributed systems. Proposed abstractions and concepts to develop distributed systems that span many data centers, including transaction chains (SOSP 2013), parallel snapshot isolation (SOSP 2011), online migration (ATC 2011), and RPC chains (NSDI 2009). Reliable failure detectors. Proposed mechanisms to realize reliable failure detectors (EuroSys 2015, NSDI 2013, SOSP 2011, HotOS 2009). Sinfonia. Designed, implemented, and evaluated lightweight transactions to develop applications in data centers (TOCS 2009, SOSP 2007). Black-box performance debugging. 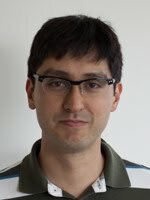 Proposed concepts and techniques to debug the performance of complex distributed systems (SOSP 2003). Reconfiguration without consensus. Proposed algorithms to reconfigure distributed storage without the use of consensus (JACM 2011, PODC 2009). Leader election. Proposed algorithms for electing leaders in distributed systems (DIST COMP 2008, PODC 2004, PODC 2003, DISC 2001). How to implement any concurrent data structure. Irina Calciu, Siddhartha Sen, Mahesh Balakrishnan, Marcos K. Aguilera. Communications of the ACM, December 2018. Remote regions: a simple abstraction for remote memory. Marcos K. Aguilera, Nadav Amit, Irina Calciu, Xavier Deguillard, Jayneel Gandhi, Stanko Novakovic, Arun Ramanathan, Pratap Subrahmanyam, Lalith Suresh, Kiran Tati, Rajesh Venkatasubramanian, Michael Wei. Usenix Annual Technical Conference, July 2018. Remote memory in the age of fast networks. Marcos K. Aguilera, Nadav Amit, Irina Calciu, Xavier Deguillard, Jayneel Gandhi, Pratap Subrahmanyam, Lalith Suresh, Kiran Tati, Rajesh Venkatasubramanian, Michael Wei. ACM Symposium on Cloud Computing, September 2017. The many faces of consistency. Marcos K. Aguilera, Douglas B. Terry. Data Engineering Bulletin, March 2016. Yesquel: Scalable SQL storage for Web applications. Marcos K. Aguilera, Joshua B. Leners, Michael Walfish. ACM Symposium on Operating Systems Principles, October 2015. Taming uncertainty in distributed systems with help from the network. Joshua B. Leners, Trinabh Gupta, Marcos K. Aguilera, and Michael Walfish. ACM European Conference on Computer Systems, April 2015. Transaction chains: achieving serializability with low latency in geo-distributed storage systems. Yang Zhang, Russell Power, Siyuan Zhou, Yair Sovran, Marcos K. Aguilera, Jinyang Li. ACM Symposium on Operating Systems Principles, November 2013. Consistency-based service level agreements for cloud storage. Douglas B. Terry, Vijayan Prabhakaran, Ramakrishna Kotla, Mahesh Balakrishnan, Marcos K. Aguilera, Hussam Abu-Libdeh. Improving availability in distributed systems with failure informers. Joshua B. Leners, Trinabh Gupta, Marcos K. Aguilera, Michael Walfish. Symposium on Networked Systems Design and Implementation, April 2013. Surviving congestion in geo-distributed storage systems. Brian Cho, Marcos K. Aguilera. Usenix Annual Technical Conference, June 2012. Detecting failures in distributed systems with the FALCON spy network. Joshua Leners, Hao Wu, Wei-Lun Hung, Marcos K. Aguilera, Michael Walfish. ACM Symposium on Operating Systems Principles, October 2011. Transactional storage for geo-replicated systems. Yair Sovran, Russell Power, Marcos K. Aguilera, Jinyang Li. Online migration for geo-distributed storage systems. Nguyen Tran, Marcos K. Aguilera, and Mahesh Balakrishnan. Usenix Annual Technical Conference, June 2011. Sinfonia: a new paradigm for building scalable distributed systems. Marcos K. Aguilera, Arif Merchant, Mehul A. Shah, Alistair C. Veitch, Christos T. Karamanolis. ACM Transactions on Computer Systems, 27(3), November 2009. Previously appeared at the ACM Symposium on Operating Systems Principles, October 2007 (best paper award). Marcos K. Aguilera, Michael Walfish. Usenix Workshop on Hot Topics in Operating Systems, May 2009. RPC Chains: Efficient client-server communication in geodistributed systems. Yee Jiun Song, Marcos K. Aguilera, Ramakrishna Kotla, Dahlia Malkhi. Symposium on Networked Systems Design and Implementation, April 2009. Transaction rate limiters for peer-to-peer systems. Marcos K. Aguilera, Mark Lillibridge, Xiaozhou Li. International Conference on Peer-to-Peer Computing, September 2008. A practical scalable distributed B-tree. Marcos K. Aguilera, Wojciech Golab, Mehul Shah. International Conference on Very Large Data Bases, August 2008. Improving recoverability in multi-tier storage systems. Marcos K. Aguilera, Kimberly Keeton, Arif Merchant, Kiran-Kumar Muniswamy-Reddy, Mustafa Uysal. International Conference on Dependable Systems and Networks, June 2007. Olive: distributed point-in-time branching storage for real systems. Marcos K. Aguilera, Susan Spence, Alistair Veitch. 3rd Symposium on Networked Systems Design and Implementation, May 2006. WAP5: black-box performance debugging for wide-area systems. Patrick Reynolds, Janet Wiener, Jeff Mogul, Marcos K. Aguilera, Amin Vahdat. International Conference on World Wide Web, May 2006. Passing messages while sharing memory. Marcos K. Aguilera, Naama Ben-David, Irina Calciu, Rachid Guerraoui, Erez Petrank, Sam Toueg. ACM Symposium on Principles of Distributed Computing, July 2018. Locking timestamps versus locking objects. Marcos K. Aguilera, Tudor David, Rachid Guerraoui, Junxiong Wang. The correctness proof of Ben-Or’s randomized consensus algorithm. Marcos K. Aguilera, Sam Toueg. Distributed Computing, 25(5):371-381, October 2012. Partial synchrony based on set timeliness. Marcos K. Aguilera, Carole Delporte-Gallet, Hugues Fauconnier, Sam Toueg. Previously appeared at the ACM Symposium on Principles of Distributed Computing, August 2009. Dynamic atomic storage without consensus. Marcos K. Aguilera, Idit Keidar, Dahlia Malkhi, Alexander Shraer. Journal of the ACM, 58(2):7, April 2011. Reconfiguring replicated atomic storage: a tutorial. Marcos K. Aguilera, Idit Keidar, Dahlia Malkhi, Jean-Philippe Martin, Alexander Shraer. Distributed Computing column, Bulletin of the EATCS, pp. 84-108, October 2010. Marcos K. Aguilera, Eli Gafni, Leslie Lamport. Distributed Computing, 23(2), pp. 113-134, October 2010. Previously appeared at the International Symposium on Distributed Computing, September 2008. Fast asynchronous consensus with optimal resilience. Ittai Abraham, Marcos K. Aguilera and Dahlia Malkhi. International Symposium on Distributed Computing, September 2010. Adaptive progress: a gracefully-degrading liveness property. Distributed Computing, 22(5-6), pp. 303-334, August 2010. Previously appeared at the ACM Symposium on Principles of Distributed Computing, August 2008. Stumbling over consensus research: misunderstandings and issues. Replication: theory and practice. LNCS 5959, Chapter 4, March 2010. Remote storage with byzantine servers. Marcos K. Aguilera, Ram Swaminathan. ACM Symposium on Parallelism in Algorithms and Architectures, August 2009. On implementing Omega in systems with weak reliability and synchrony assumptions. Distributed Computing, 21(4), pp. 239-314, October 2008. Abortable and query-abortable objects and their efficient implementation. Marcos K. Aguilera, Svend Frolund, Vassos Hadzilacos, Stephanie Horn, Sam Toueg. ACM Symposium on Principles of Distributed Computing, August 2007. Consensus with byzantine failures and little system synchrony. International Conference on Dependable Systems and Networks, June 2006.